Born 1978; 1999-2005 studies in History, German Literature, Law and Political Science at the Free University and the Humboldt-University Berlin; 2001-2002 visiting student at the University of Florence, It-Prize for the Master thesis, awarded by the Hannah-Arendt-Institute, Dresden und the Foundation for German-Polish Cooperation; 2004-2005 coordinator of the EU-funded project "Towards a Civil Society in Europe (CiSoNet)" and research fellow at the working group "Civil Society, Citizenship, and Political Mobilization in Europe" at the Social Science Centre Berlin; 2005/2006 PhD fellow at the Social Science Research Centre Berlin; 2006/2007 PhD fellow at the German Historical Institute Warsaw; 2008 PhD fellow of the German Academic Exchange Service; since 2006 scholar at the BKVGE. "Democracy, Socialism and Civil Society within the Intellectual Transfer of the New Left in Western and Eastern Europe (1956-1989)"
Starting from the transnational discourses of the Polish democratic opposition, the project analyses intellectual and practical transfer processes between Western and East Central Europe from 1956 to 1989. The dissertation explores that which Polish intellectuals perceived and conceptualized with respect to the future of democracy and socialism in Europe, and seeks to elaborate the content as well as the forms of distribution of these ideas. Reconstructing the networks of communication between intellectuals in Poland, Great Britain, France, and Italy the project aims to contribute to a European historiography that combines both Western and Eastern experiences, discourses, and practices in order to compare and to challenge some of the most important developments and self-definitions of the intellectual left in Europe. Intellektuelle in der Opposition. Diskurse zur Zivilgesellschaft in der Volksrepublik Polen, Campus: Frankfurt am Main/ New York 2007. Zivilgesellschaft als Diskurs. Prämissen und Paradoxien der polnischen Begriffsbildung, WZB-Discussion Paper 2008 (im Erscheinen). Renaissance or Reconstruction? Intellectual transfer of civil society discourses between Eastern and Western Europe, in: Friederike Kind-Kovács/ Jessie Labov (Hg. ), From Samizdat to Tamizdat. Independent media before and after 1989, CEU Press: Budapest 2008 (im Erscheinen). Born 1978; B. A. degree in German and English Philology at the University of Cluj-Napoca (Romania) 2000; M. A. in East European History and German Philology at the University of Tübingen (Germany) 2005; since April 2006 doctoral fellow at the BKVGE. "Waiting, Hoping and Finally Driving. Cars and Socialism in the Soviet Union, the GDR and Romania (1956-1980)"
My PhD-project deals with the specificity of socialist consumerist practices in the Soviet Union, the GDR and Socialist Romania during the 1960s und 1970s. The socialist car stands at the centre of my research as a symbol of prosperity, mobility and social distinction. The case of the automobile also allows for insights into the organisation of everyday life, leisure time and vacation. In my paper, cars serve as a point of intersection of political economy, socio-political legitimacy, and personal lifestyle in socialism. I turn to the socialist automobile as an object of prestige, endowed with a multitude of symbolic meanings. Much like in the capitalist world, the socialist car represented one of the top technical achievements. It was seen as the “engine” of future socialist economic development and as a symbol for rising living standards in the 1960s. Being the proud owner of an automobile was also a sign of social distinction. Born 1977 in Rosenheim, Germany; studied Modern and Contemporary History, Ancient History and Political Sciences at the Ludwig-Maximilians-Universität in Munich; 2003 M.A. in Modern and Contemporary History; awarded with the "Hochschulpreis der Landeshauptstadt München für eine herausragende Abschlußarbeit 2003"; Participation in the Postgraduate Programme in European Studies at the Freie Universität, the Humboldt Universität and the Technische Universität Berlin; 2004 M.A. in European Studies (M.E.S.) at the Freie Universität, the Humboldt Universität and the Technische Universität Berlin; since April 2006 doctoral fellow at the BKVGE. Supervisors: Prof. Dr. Johannes Paulmann and Prof. Dr. Manfred Hildermeier. "The Architecture of Diplomacy: a comparative study on international relations and the politics of representation, 1870-1970"
This dissertation project focuses on the architecture of embassies and their function as sceneries and instruments of diplomacy. It aims to discover and explain changing patterns of representation in relation to the development of the international system from 1870 to 1970. Erected in the centres of foreign capitals, diplomatic buildings served at the same time as platforms for political contacts, for cultural exchange, national self-affirmation as well as in demarcating "the other". Whereas embassies were perceived as symbols of foreign power and alien influence in the hosting states, they could be regarded as an opportunity to create a certain image of oneself and to claim a certain rank and position in the delegating states. Beginning in the late 19th century, the great powers entered into a competition for prestige, seeking distinction through eminent buildings, prominent architects, central placements, huge estates etc. When buildings were purchased, projected, constructed, or rebuilt, the meanings and functions of embassies were reconsidered. Conceptualising the architecture, spacedistribution and interior decoration of the embassies, architects, diplomats, governments and public opinion developed disparate ideas of architectural expression and functional requirements, representing in the end controversial views about foreign politics and national identity itself. Moreover, being gradually transformed from exclusive aristocratic venues to semi-public spaces in the hosting states, the architectural modifications of embassy buildings also reflect the changing tasks, practices and social background of diplomacy. Analysing these developments by comparing the embassy architecture of France, Great Britain and Germany over the course of a century, this study aims to contribute to a cultural history of diplomacy with regard to the politics of representation and the transformation of the international system. Bismarck in München. Formen und Funktionen der Bismarckrezeption 1885-1934. München u.a., Peter Lang Verlag, 2004. Lexikonartikel: Bismarckdenkmäler in Bayern. In: Historisches Lexikon Bayerns. Hrsg. v. der Bayerischen Staatsbibliothek in Zusammenarbeit mit der Kommission für Bayerische Landesgeschichte bei der Bayerischen Akademie der Wissenschaften und der Konferenz der Landeshistoriker an den bayerischen Universitäten 2006 (www.historisches-lexikon-bayerns.de). Zwischen monarchischer Repräsentation und parlamentarischer Selbstdarstellung. Parlamentsarchitektur im 19. Jahrhundert. In: Freytag, Nils/ Petzold, Dominik (Eds. ): Das 'lange' 19. Jahrhundert. Alte Fragen und neue Perspektiven. München, Herbert Utz Verlag, 2007. S.75-102. Born 1978 in Prague; studied History at Charles University in Prague 1998-2004; March-July 2003 study at University Leipzig; 2004-2006 postgraduate study at Charles University Prague; since April 2006 doctoral fellow at the BKVGE, September 2007-May 2008 research fellowship at National University of Ireland, Galway. "The perception of spatial borders: the Saxon-Bohemian and Irish-British borders in comparison (1750-1850)"
The goal of the thesis is to examine altering perceptions of geographical space, and to assess the relative importance of physical and mental borders in this process. It compares two sets of borders in the period 1750-1850 – the Bohemian-Saxon and the Irish-British borders. In the period 1750-1850 there are parallels and similarities between Bohemia and Ireland – both belonged to more extensive state units, which influenced the respective social and ethnic structures. On a political level, both the Bohemian-Saxon and the Irish-British borders were internal borders. Bohemia – with Saxony – was part of the Holy Roman Empire until 1806, and thereafter a part of the German Bund. Likewise Ireland, from 1801, formed part of the United Kingdom. However, whereas the Irish-British border can be described particularly as the internal British border, the border between Saxony and Bohemia also represents the external border of the Austrian Empire. The main focus of this comparison is the perception of the borders. The differing levels of political importance assigned to the respective borders may suggest how observers and contemporaries perceived the borders. It may be that other, non-political borders (such as historical, ethnic, religious or geographic) were of equal or sometimes greater importance than the official, political border. To resolve this, contemporary evidence from several different perspectives will be assessed. Firstly, the evidence of both Britons and Germans travelling to Ireland or Bohemia will be examined. These testimonies will be compared with the internal perception, or self-definition, of natives of Ireland and Bohemia regarding their own borders. Furthermore, the availability of “cross-references” (that is, German references to Ireland and British to Bohemia) allows the comparison of attitudes to similar phenomena (ethnic, language and religious differences) in different geographical and political settings. Kontinuität und Wandel. Die Wahrnehmung der sächsisch-böhmischen Grenze, 1780-1850, in: Christophe Duhamelle, Andreas Kossert, Bernhard Struck (eds. ), Grenzregionen. Ein europäischer Vergleich vom 18. bis zum 20. Jahrhundert, Frankfurt/Main 2007, p. 181-201.
with Veronika Sušová and Jaroslav Ira, The Notion of Good Citizenship (1848-1918): Czechs in Austria-Hungary in Czech Perspective, in: Steven G. Ellis, Guðmundur Hálfdanarson, Ann Katherine Isaacs (eds. ), Citizenship in Historical Perspective; Pisa 2006; str. : 161-181. Born 1978 in Pribram / Central Bohemia; studied History of Modern Historiography, General and Comparative History, Social and Economic History in Prague and as an Erasmus- Scholarship holder at the University Leipzig; 2004 M.A. in History at the Charles University Prague, reseach fellow of Czech-German Fund for the Future at the Humboldt-University Berlin in 2004-2005; since April 2006 doctoral fellow at the BKVGE. "New Intelligentsia in Central Europe 1945-1968"
The project focuses on the first generation of socialist intelligentsia in Poland and in Czechoslovakia. Instead of emphasizing the spectacular protests of 1968, it traces interactions between students and central authorities far back into the early 1950s. The project tries to expose the social relations in which student agencies were mediated. It specifically addresses meanings of power, attitudes towards the socialist order and imposed social norms appropriated by students on a local level. Therefore, it also follows the attempts to establish that very social practice in order to support some of the student agencies. Finally, the project proposes a classification of the social relations practised by some of the students in the Czech, the Slovak and the Polish higher educations. In that respect, it is based on research of personal relationships during the power transformation under socialist dictatorships in postwar Central Europe. Francouzská revoluce v dejepisectví Petera Burka (Französische Revolution in der Geschichtsschreibung von Peter Burke). In: Lidé, mesta 1 (15) 2005. S.199-202. Identity mezi tradicí a modernitou (Identitäten zwischen Tradition und Modernität. In: Lidé, mesta 2 (16) 2005. S. 273-276. Pluralita dejin? Vzpomínka na Iris Shun Ru Chang. (Pluralität in der Geschichte? Erinnerung an Iris Shun Ru Chang). In: Lidé, mesta 3 (17) 2005. S. 122-131. Traditions and Identities in Transnational Society. The Chinese American Representations of the Past. Erscheint demnächst In: Question of Identity. Tradition - Religion - Modernity. Papers of International Conference in Krakow on 8th - 10th April 2005. Born 1978 in Rivne/Ukraine; graduated in German philology and history at Volyn University, Lutsk/Ukraine (1995-2000); Coeditor of the theological-philosophical almanac "Dzherela" Lutsk/Ukraine (1999-2004); Ph.D. Researcher at Charles University, Prague, School of Social Sciences since 2003; Visitor Researcher at University of Leipzig, School of Theology (Oct. 2004-Mar. 2006); since 2006 doctoral fellow at the BKVGE. "The reflection of German churches on the Holocaust in both German states (1945-1991)"
Within the framework of this project, the manner of the Church’s handling of the extermination of the Jews in the Third Reich after 1945 will be evaluated. This will be done on the basis of the documents that were produced at different levels and within distinct authorities of the Evangelical and the Catholic Churches in both German states. The paper covers the time period from the end of the Second World War up to the reunification of Germany. However, the thesis proposes not a full documentation of the Church’s official statements, but rather their historical contextualization in order to interpret the conceptual elements that describe the course of the Church’s coming to terms with the past in view of the Shoah. The project is primarily concerned with the endogenous and exogenous impulses to the Church’s self-reflection as well as its principle changes. Tracing the prehistory of separate Church communiqués and elucidating the inner Church disputes correlated with the ecumenical discussions will serve the intended purpose. By means of a comparative approach (the interdenominational and the German-German comparison), the Church’s dealing with the Holocaust will be projected on the transparency of the Cold War. This begs the question: firstly, to what extent does the divergence of both policies and their converse dissociation characterize the social and political Holocaustdiscussion? Secondly, how does the latter correlate with Church self-reflection? A particular emphasis is placed on the interaction between two levels of reflection relating the Shoah: social-political and church-based. In this context the activity of the Societies for Christian- Jewish Cooperation has been taken into consideration. Born 1980 in Heidelberg; studied Medieval and Modern History, Philosophy and Sociology at the University of Heidelberg (2000-2003); 2003-04 DAAD scholar at the University of Chicago; since September 2004 Ph.D. Candidate at the Department of History, University of Chicago; 2006 M.A. of Social Sciences, University of Chicago; since April 2006 doctoral fellow at the BKVGE. "Political violence and working-class solidarity in Leipzig and Lyon, 1929-1936"
My dissertation is a comparative analysis of political violence and working-class solidarity in Leipzig (1929-1933) and Lyon (1929-1936). It begins with an observation about the general strength and weakness of the respective working-class movements in Germany and France. Compared to the German organized (left-wing) working-class movement, which was at the time considered to be the strongest in Europe, the French one seemed weak and fragmented. Yet, when facing the political and economic crises of the late 1920s and early 1930s, the two movements reacted quite differently. While the (strong) German left utterly failed to face the threat from the right, the French left united in the Front Populaire and succeeded in 1936, most remarkably with an enormous strike movement. My dissertation’s aim is to understand this different reaction to crisis and threat. For this purpose, I argue, it is necessary to look at micro-structures in local contexts, which is why my dissertation will be a comparative history of everyday politics. Born 1981 in Jihlava, Czech Republic; 1999-2002 Bachelor degree in International Area Studies and 2002-2006 Master degree in German and Austria Studies at Charles University Prague, Faculty of Social Sciences; 2003 Freie Universität Berlin; 2003/2004 DAADscholarship at Heinrich Heine Universität Düsseldorf; since September 2006 doctoral student at the Institute for International Studies at Charles University Prague; since January 2007 doctoral fellow at the BKVGE. "Memorial culture in Germany and Italy after World War II: mutual collaboration and war crimes in their reflections 1945-2005: Case study Kephallonia"
To the present day, World War II stays alive in the collective memories of the states involved in the conflict, constituting part of national identities, as well as informing perceptions and stereotypes with regard to other states. Until the 1990s, Italian memorial culture was based on the myth of resistance against German occupation. This fact enabled Italians to "forget" their own fascist past and to ignore the responsibility for the Italian offensive war in the Mediterranean. Also, in Germany, where there was a higher awareness of the Nazi era, the myth of a “clean Wehrmacht” (especially in the southern front) prevailed in collective memory until 1990s. In the last decade, the common war history of Germans and Italians re-entered historical research, the media, public discussion and political discourse in both countries. The goal of this project is to examine Italian and German post-War reflections of the German war crime on Kephallonia -a massacre of around five thousand Italian soldiers by the German army on an Ionian island after the Italian Armistice of 8 September 1943. It compares the internal changes with regard to the collective memories of the event, and analyses the mutual reception of its national interpretations, which was, at the time, defined as a "betrayal" on the German side and as an act of resistance on the Italian side. The dissertation questions to what extent the legend of the “Italian betrayal” is still present in the German collective memory, and what role the Kephallonia massacre plays in the Italian memorial culture as a place of remembrance. Nacistická kulturní politika v Düsseldorfu 1933–1945. In: Acta Universitatis Carolinae. Studia Territorialia 2007 (im Druck). Jubilejní výstava Metzner-Bundu 1914 -1944. In: Documenta Pragensia 20/2002, s. 191–257. Cultural and Social Science at the Viadrina European University Frankfurt (Oder), Germany; 2001-2003 stipendiary of the German Merit Fund; 2003-2006 lecturer, copy writer, translator, interpreter, journalist, tour guide, project manager; since 2007 doctoral fellow at the BKVGE. "Negotiating Heritage in the Karkonosze Mountains. Polish-German Touristic Encounters and Changing Perceptions of a Region's Past, 1945-1989"
The Karkonosze region (Giant Mountains, German: Riesengebirge) in what is now South- West Poland became a major travel destination within Prussia at the beginning of the 19th century. The emergence of regional associations, the construction of railways and tourist infrastructure transformed the region into a site of mass tourism at the turn of the century. The interwar period was marked by the democratisation of tourism on the one hand and nationalist rhetoric – Silesia as contested area – on the other. After the end of World War II, with the expulsion of the Germans, a Polish national appropriation of the region took place. Also a new model of holiday emerged, "democratic tourism," wherein leisure became politicised and centrally distributed by the communist state. On the other side of the Iron Curtain, communities of expelled Germans conserved a nostalgic image of the region, including specific, nationalist concepts of homeland ("Heimat"), while the communist government of the GDR suppressed any activities of resettled Silesians. Beginning in the late 1950s, Germans from both states travelled to Poland. With the opening of the borders in the early 1970s, tourists' numbers increased remarkably. By that time one could speak of numerous, unofficial, Polish-German encounters in the Karkonosze region. Research on tourism and tourism history often focuses on the tourists' perspective in analysing travelogues, guidebooks and other reports of those travelling. The aim of this project is to reconstruct the point of view of the toured and trace their actions in negotiating heritage and making it useable. I aim to define how the reality of transnational interactions and the need to represent heritage in a touristic region have influenced such representations. "Oder Panorama. Von der Schwierigkeit eine Oder-Ausstellung zu machen", in: Beata Halicka/ Karl Schlögel (Eds. ): Oder-Odra. Blicke auf einen europäischen Strom, Peter Lang Verlag: Frankfurt/Main-New York 2007. Spaziergang durch eine Stadt-Vorstadt, in: Ulrich Knefelkamp/Monika Kilian (Eds. ), scripvaz-Verlag: Berlin 2003. Born 1980; 1999-2004 studied history at the Charles University in Prague; 2003 ÖAD fellow at the Institute of History, University of Vienna; 2004 M.A. in history, the Charles University in Prague; since 2004 doctoral fellow at the BKVGE; 2005 Guest Fellow at the GWZO Leipzig; 2005–2006 ÖAD fellow at the Institute of History, University of Vienna; 2007 Fritz Stern Fellow at the Willy Brandt Centre in Wroclaw, 2007 – 2008 Guest Fellow at the Institute for European History in Mainz. "State, Nobility and the Shift of Elites. The Ennoblements in Bohemia and Silesia 1806–1871 in Comparative Perspective"
The project uses the phenomena of ennoblements to examine the relationship between the state and the emerging civil society in 19th-century Central Europe. The dissertation presumes, according to Arno Mayers’s notion of the „Persistence of the old regime,“ that despite the rapid social changes in the 19th century, the nobility still retained a high amount of symbolic capital in Central European societies of the 19th century. Belonging to the nobility constituted one of the important criteria for holding an elite position within society and in this context the ennoblements represented a tool used by the state to constitute certain patterns of behaviour and to transport them into society. The ennoblements served as a reward for those who followed such behavioural patterns, and as an incitement for others to follow suit. I therefore examine which patterns of behaviour were projected into the set of criteria for achieving noble status. This question is addressed in two main ways – from the perspective of the state and from the point of view of the new nobles. The main questions are therefore the following: How did the state take different cultural practices into account when granting the noble titles and what role did the different patterns of behaviour play within the argumentative strategies of the noble status expectants? The dissertation attempts to answer these questions on two levels. First, it uses the prosopographical analysis of the new nobility in the chosen time span. I examine if, when, why and how far different social groups made their way into the nobility. Secondly, attention is aimed at the concrete strategies of argumentation of the noble applicants and its acceptance by the state. I closely examine which concrete arguments were used by the noble prospects to justify convincingly their claims for belonging to the nobility as well as how these arguments were treated by the state. This should subsequently show what weight was given to concrete cultural practices within the re-definition of the criteria for belonging to the social elite, which positions the state adopted towards the quickly changing society, and what role different cultural practices played in the set of social values in the 19th century. Born 1978, studied history and literature in London and Berlin; MA in Modern History at the University College London in 2001 with a thesis on the Politics of History in Italian Fascism; 2003 M.A. in Modern and Contemporary History at the Humboldt-University Berlin with a thesis on the Academic and Political Discourse on Population Policy before 1933; March- November 2007 research fellow at the Institute of European History in Mainz; since July 2004 doctoral fellow at the BKVGE. "Restricted Mobility: Politics of immigration control in Britain and Germany, 1880-1930"
The period from the 1880s to the 1920s was characterised by an international dynamic of growing restrictions on immigration. Not only the United States, but also the European governments established an infrastructure of surveillance in order to monitor and regulate migration. Germany and Britain both took part in this process. Both states differed significantly in their administrative traditions and self-perceptions though; the Prussian government following authoritarian and interventionist premises, whereas the British policy was rather guided by liberal values. Nevertheless, Britain also developed a system of migration control after 1905. By closely analysing and comparing the mechanisms of exclusion implemented, the thesis explores the similarities and differences of the two "migration regimes". Which factors influenced the emergence of a restrictive policy in Britain and Germany, and why did their migration regimes differ? Which governmental techniques were chosen in order to either prevent foreigners from coming to the country or force them to leave it? How were immigrants registered and controlled – and what possibility did they have to challenge the decisions being made? By concentrating specifically on the policy of 1) admitting foreigners, 2) monitoring their movement within the country, and 3) expelling them, the thesis aims to explore the scope and the limitations of migration control in both states. Approaching the phenomenon of migration from a governmental perspective, it concentrates on the relationship between the state and the migrant established via mechanisms of control. Comparing the administration of migration in Britain and Germany, it investigates the treatment of incoming foreigners in the years before, during and directly after the First World War and studies the implementation of a restrictive migration policy in both countries. Biographical Articles on Martin Bangemann, Karl-Hermann Flach, Richard Jaeger, Heinrich Krone, Karl Mommer, Ernst Müller-Hermann, Theodor Oberländer, in: Rudolf Vierhaus/Ludolf Herbst (eds): Biographisches Handbuch der Mitglieder des Deutschen Bundestages 19492002, München 2002. Krisenkalkulation. Demographische Krisenszenarien und statistische Expertise in der Weimarer Republik, in: Die "Krise" der Weimarer Republik. Zur Kritik eines Deutungsmusters, hg. v. Moritz Föllmer/Rüdiger Graf, Frankfurt/M. 2005, S. 209-240. Born 1978; 1997-2003 studies in history and political science at the Universities of Trier and Karlstad (Sweden); 2001 stipendiary in the ERASMUS-programme; 2003 M.A. in history and political science at the University of Trier; since 2004 doctoral student at the University of Trier and doctoral fellow at the BKVGE; 2005-2006 scholar of the German Historical Institute of Paris; 2007-2008 stipendiary at the Institute for European History in Mainz. "Second class citizens? The Jewish population in the rural regions of Lorraine, Luxembourg and Rhenish Prussia in the 19th century"
Until the middle of the 19th century, the majority of the Jewish population of Lorraine, Luxembourg and Rheinish Prussia lived in rural regions. The aim of my project is to determine the real consequences of the legal equalisation of Jews and Christians. Against the backdrop of the emancipation of the Jews, the study pursues the central question of whether social integration was an automatic consequence of the formal granting of citizenship – or, if the Jews continued to be discriminated against (this means seen and treated as inferior people). Not only the legal foundations of Jewish emancipation are considered, but also the theoretical concepts that caused different legislations. The demographic, economic and social circumstances are examined to define the framework of Jewish-Christian relations in rural environments. Additionally, the relevance of religion will be considered: Did the impact of membership to a religion differ from country to country? Which effects did secularisation have on the relationship between the Jewish and the Christian populations? Against this backdrop, I go further into the question of social integration. The every day relationships and conflicts between Christians and Jews are considered as well as Jewish participation in the public sphere. I consider whether the acceptance of the Christian population varied in various regions or countries. Vereinendes und Trennendes. Grenzen und ihre Wahrnehmung in Lothringen und preußischer Rheinprovinz 1815-1914 [Coalescing and disruptive. Borders and their perceptions in Lorraine and Rhenish Prussia 1815-1914], in: Etienne Francois, Jörg Seifarth, Bernhard Struck (eds. ): Die Grenze als Raum. Deutschland, Frankreich und Polen vom 17. bis zum 20. Jahrhundert, Frankfurt a. Main (Campus-Verlag) 2007. Die unsichtbare Grenze. Die Annexion von 1871 und ihre Auswirkungen auf die Region Lothringen bis zum 1. Weltkrieg [The hidden border. The annexion of 1871 and its consequences for the region of Lorraine until the First World War], in: Christophe Duhamelle, Andreas Kossert, Bernhard Struck (eds): Grenzregionen. Ein europäischer Vergleich vom 18. bis 20. Jahrhundert, Frankfurt a. Main (Campus-Verlag) 2007. Das religiöse Leben der jüdischen Gemeinden in Lothringen und der preußischen Rheinprovinz im 19. Jahrhundert [The religious life of Jewish communities in Lorraine and Rhenish Prussia], in: Religions et laïcité en France et en Allemagne aux 19ème et 20ème siècles / Religiöse Kulturen und Weltlichkeit in Deutschland und Frankreich im 19. und 20. Jahrhundert, Stuttgart (Franz Steiner Verlag), will be released probably at the beginning of 2008. Born in 1973 in Arad, Romania ; 1994 – 1998 graduated in History at the Babe..-Bolyai University Cluj, 2002 – 2005 scholar at the University of Sussex, Centre for German-Jewish Studies in Brighton (UK); published in German, Romanian and Hungarian several articles on Romanian-Hungarian relations as well as on the Holocaust in Romania; since 2005 doctoral fellow at the BKVGE. "Coming to Terms with the Past after World War II: War Criminal Trials in Hungary and Romania in Comparison"
In the former Communist Eastern European countries, little is known about the judicial aftermath of the Second World War regarding the trials of war criminals or about the role played by the respective countries during the war, mainly because these regimes kept all this silent or misinterpreted it according to the dominant ideology of the ruling Communist Parties. Such was the case in Romania, where, beginning in the 1950’s and continuing until recently, it was a taboo to evoke the crimes committed by the Romanian Army and Gendarmerie between 1941-1944, or the trials against Romanian war criminals in the post-war period. In Hungary, historians could write about the trials, but were obliged to adjust their writing to conform to the ideology of the Hungarian Socialist Worker’s Party. My project approaches post-war legal systems in Hungary and Romania in relation to the prosecution and sentencing of Hungarian and Romanian war criminals. Hungary and Romania had several similarities during the Second World War as well as afterwards, but in spite of these, the punishment of the war criminals belonging to their respective nations differed in terms of both the numbers sentenced as well as the gravity of the sentences. Within a comparative context, I analyse which facts and historical processes could account for the different ways of dealing with war criminals in Hungary and Romania. What kind of special relationships and mutual interdependencies may have existed between war criminal trials in Romania and war criminal trials in Hungary? The project aims also to shape a comparative image of the post-war Hungarian and Romanian societies that may have been influenced by the way the judicial authorities dealt with war crimes and how these trials were reflected in the contemporary public memory and national consciousness of each country. The project also provides an example of overlapping national histories and their treatment in the Romanian and Hungarian historiographies related to the Holocaust and other crimes against humanity committed by Hungarians and Romanians during the Second World War. The Public Memory of the Holocaust in the Post-War Romania, in: Studia Hebraica, No.4, The "Goldstein Goren" Centre for Hebrew Studies: Bucharest, 2004. "Millennium Ungarns bei den Rumänen", in: Interethnische und Zivilisationsbeziehungen im Siebenbürgischen Raum, Cluj-Napoca 1997. "The Nationalities and the Millennium in Dualist Hungary", in: Transsylvanian Review, Nr.4, Cluj-Napoca 1997. "De la Kolozsvár la Cluj .Ultimul episod al statalitatii ungare în "capitala" de pe Somes (Von Kolozsvár zu Cluj: die letzte Episode der ungarischen Oberhoheit in der "Hauptstadt" an der Samosch)", in: Altera, Nr.11, Tîrgu-Mures 1999. "O identitate distincta printre românii ardeleni Prof. Grigore Moldovan (Eine herausragende Persönlichkeit der Siebenbürger Rumänen: Professor G. Moldovan 1876-1930)", in: Convietuiera, Nr. 2-3, Szeged 1999. "Rolul lui István Apáthy în confruntarile politice româno-maghiare din anii 1918-1920 (Die Rolle István Apáthys in den rumänisch-ungarischen politischen Auseinadersetzungen der Jahre 1918-1920)", in: Convietuiera, Nr. 4, Szeged 2000. Born 1973; 1994-2001 studies in history and religion in Halle/S., Montpellier and Berlin; 2002-2004 high school teacher; 1995-2001 scholarship Evangelisches Studienwerk; since 2004 doctoral fellow at the BKVGE; 2005 research scholarship German Historical Institute Paris; 2006 research scholarship German Academic Exchange Service. "Knowledge-making in the scientific academies of London, Paris, and Berlin, 1660-1720"
The project focuses on the practices of knowledge-making in the academies, a question which can be answered through neither an institutional nor individual approach. Behind the mainly performative activities in the academies stands a multiplicity of scientific work done – work not only done by brain, but largely by hand. Who were the persons involved in knowledge-making? In which form did they contribute to the knowledge finally presented in the academies? How can the relationship between the different persons be described? What kinds of collectives are engendered in these processes? How is the status of the persons, and of the objects and information, transformed through the processes of knowledgemaking? The project aims at a social history of knowledge, integrating approaches from historical anthropology and from historical epistemology. The main topics are: the scholarly household, friendship, purchase and marked relations, the scientific persona and collective. Metaphern einer Nation. Französische Englandberichte 1650 -1750; in: Otfried Dankelmann (Hg. ): Entdeckung und Selbstentdeckung. Die Begegnung europäischer Reisender mit dem England und Irland der Neuzeit, Frankfurt/M. 1999, S. 111-150. Geschichte auf dem Friedhof. Kriegerdenkmäler als historisch-politisches Dokument [History in the Cemetery. War Monuments as Historical-Political Documents], in: Geschichte lernen 106 (2005), Themenheft "Historische Orte", S. 60-66. Conflict and Friendship in Scholarly Communication at about 1700; (Konflikt und Freundschaft in der gelehrten Kommunikation um 1700); in: Stefan Kratochwil und Michael Maurer (Hg. ): Kommunikation in der Frühen Neuzeit (forthcoming). Born 1974; studied history, sociology and psychology in Budapest, Eichstätt and Berlin, 1994-2001; MA in history and sociology; 2000-2001 DAAD research scholarship; 2001-2004 scholarship student in the Economic and Social History Doctorate Programme in the Arts Faculty at ELTE, Budapest; 2002-2004 studies director of the Szent Ignác Szakkollégium (residential college) and research fellow at the Institute for the History of the 1956 Hungarian Revolution; since 2004 doctoral fellow at the BKVGE. "Teachers in Prussia and Hungary in the second half of the 19th century"
In my project, I compare the professionalisation of secondary school teachers in Hungary and Prussia in the nineteenth century with an emphasis on the forming and changing of teachers’ professional identity in the two countries. The comparison of Prussia as a role model in modernising the education of Eastern Europe and Hungary gives us the chance to examine whether legislative circumstances and secondary-school system modernization led to different effects between secondary-school teachers and their professional identities. How important is professionalisation for the identity of secondary school teachers? Does a connection remain between the professional and the personal identities of teachers? How do they interact with the State, the Churches and with their respective communities? Which different elements can we find in the teachers’ professional identities in Prussia and Hungary? Is there a special Hungarian process of professionalisation? These questions guide the project, and I examine them on two levels: the personal level of the teachers, and the level of the teachers’ association. The structure and the levels of my project and the comparison of these levels allows for a thorough examination of different aspects of the topic and presents an opportunity to critically apply modernisation theories (particularly the Backwardness-thesis, which has been unjustly criticized as "normative") and -if necessary modify them. Tanárok, egyesületek, államok. A középiskolai tanárság professzionalizációjának kezdete magyar-porosz összehasonlításban. [Teachers, societies, states. The outset of secondary school teachers’ porfessionalization in Prussian-Hungarian comparison]; "Korall" 28-29, September 2007, 59-87. Übersetzungsprobleme. Die Arbeiterräte in den wissenschaftlichen Diskursen, in: "Der Ungarnaufstand", Péter Kende/ Eiske Wolgast (reds. ), Akadémiai Kiadó 2007, 29-39. Közép-Európa összehasonlító perspektívában [Central Europe in a comparative perspective], "Korall" 28-29, September 2007 (editor). Born 1976; studied in Freiburg, London and Berlin; MA in Cultural History, Goldsmith’s College, London (2000); M.A. in History, German Literature and Economics, Free University Berlin (2003); since 2004 doctoral fellow at the BKVGE; further scholarships: Friedrich-Ebert- Foundation (1999-2003), German Academic Exchange Service (2005), German Historical Institute, London (2006), Austrian Exchange Service (2007). "Empires and Ethnic Differences. Nationality and Citizenship in the Habsburg Monarchy and the British Empire, 1867-1918"
My project analyses legal and administrative mechanisms of ethnic differentiation in imperial contexts. It focuses on the role of ethnic categories for inclusion and exclusion in terms of nationality and citizenship. My main questions are: When, how and why did the ways in which empires handled ethnic difference change? In order to approach these questions I will discern national, statist and imperialistic strategies. While the first create legal equality within a national group and exclude all non-nationals, statist tendencies can either stress supraethnic neutrality or implement a politics of recognition. The imperialistic model is instead stamped by ethnic discrimination. I will analyse the legal and administrative developments in different parts of the two Empires (Canada, Hungary, India, Austria, East Africa, Bosnia and the UK), in order to detect those strategies in different contexts. Furthermore, I will question the role political structures, bureaucratic traditions, and racialist discourses played in determining, when, how, and why specific strategies were adopted. 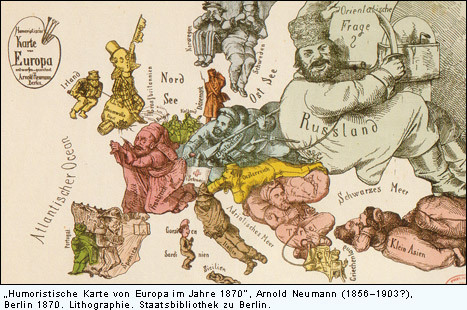 On the basis of this analysis, I will argue that, after the turn of the 20th century, the handling of ethnic heterogeneity differed significantly in the Habsburg and the British Empires, due to different ways of defining ethnic identities and of implementing biopolitical power mechanisms. While in the Habsburg case statist and national strategies were combined in an ambivalent way, imperialistic discrimination between different ethnic groups came to be the dominant feature of the British case. "Paris, Berlin: the Memory of the First World War (1914-1933)"
The dissertation examines the history of public memory of the First World War in Paris and Berlin from the beginning of the war until 1933. Generally, it aims to understand the German and French societies of the interwar period. The First World War caused a deep social disruption, so that the analysis of the memory that followed this rupture is particularly informative. This work is also based on the idea that memory is constructed and organized on different levels, in different ways according to the considered levels. Memory is therefore a likely research subject to trace the particularities of capital cities. The studies of capital cities are of outstanding interest, because these cities bind different levels together. On the one hand, the local comes into direct contact with the national. On the other hand, capital cities themselves are places, where specific agents of the memory work. Only a comparison on different levels is able to confirm or to disprove the main hypothesis of this research: Despite the deep divergences between the national war-memories and between the situations of those capital cities in their respective countries, both cities display notable parallels arising from their positions as national capitals. The most striking convergence between both places is a rather weak memory-identity of the cities themselves, which is based in both cases on similar mechanisms. Zusammen mit Stefan Goebbels u. a.: Schools, in: Capital Cities at War, Paris, London, Berlin. Volume 2, A Cultural History, hg. v. Jay WintWith Stefan Goebbels: Schools, Jay Winter and Jean-Louis Robert eds., Capital Cities at War, Paris, London, Berlin. Volume 2, A Cultural History, Cambridge, 2007.